This romantic literary fiction represents a present-day pastoral story of a man and two sisters who go through intricate triple love-triangles during their summer vacation in a mountain resort.James, an economist at a Wall Street firm, takes a summer vacation at a hotel in Oberon Woods, New Hampshire, where he meets two beautiful sisters: Sophie, an editor of a law review magazine, and her younger sister, Kelly, a secretary at a museum. James is attracted by Sophie’s intellectual beauty while he is infatuated with Kelly’s ardent charm. But he finds out both women have their own boyfriends.James’s pastime is oil painting. He begins painting a pastoral landscape of a lake near the hotel with the majestic Mount Washington in the background, adumbrating the green world. He decides to paint two additional pictures, one of Sophie and one of Kelly using the same scenery. 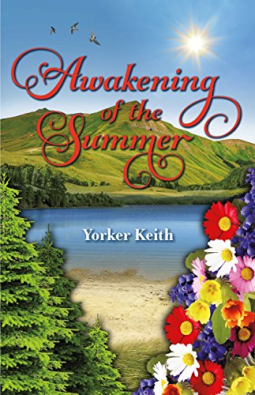 He titles the three paintings the Summer Lake Series.David, an ambitious lawyer, visits Sophie. Their encounter ends in her mysterious near-drowning. James rescues her. Seeing his bravery, Kelly falls in love with him and becomes his lover. Sophie also falls for him—Kelly finds this out.Steve, a son of a wealthy family, visits Kelly and proposes to her. She decides to return to Steve to give James to Sophie. Hearing about the relationship between Kelly and James, Steve rejects Kelly. She has a car accident but survives. Sophie, Kelly, and James reach an understanding that James is Kelly’s lover.One evening at the hotel, there is a show opening of James’s Summer Lake Series, attended by many hotel guests. James, Sophie, and Kelly become celebrities. They are all intoxicated with the fame. That night, while Kelly sleeps, James and Sophie end up making love.The following day, David and Steve visit the sisters again. Thus, the triple love-triangles continue, at the center of which James strives to make the situation best for both Sophie and Kelly, as dark secrets of each sister are revealed.